Mixed Berry Tart with Lemon Pastry Cream: Easy Summer Dessert! 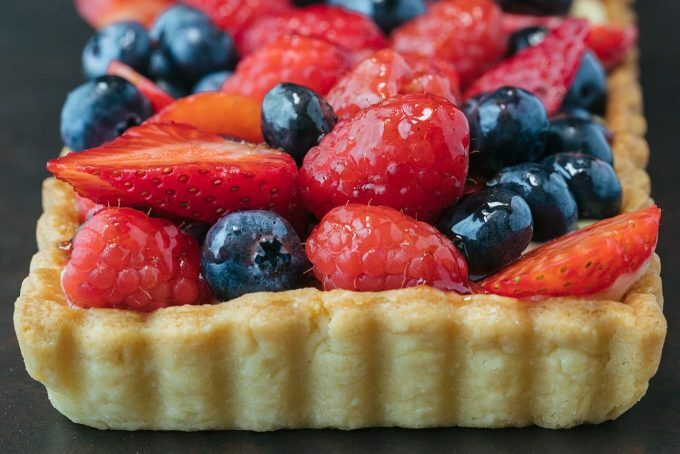 This Mixed Berry Tart, made with a sweet French pastry crust and rich lemon pastry cream, was developed in partnership with California Giant Berry Farms. As always, all opinions expressed are my own. I cannot even wrap my head around the fact that Labor Day weekend is only a week away! Where did this summer go? I feel like we were just talking about the arrival of farmer’s market season and my first shipments of California Giant’s gorgeous strawberries! I, for one, am holding onto warm weather recipes for as long as I can. 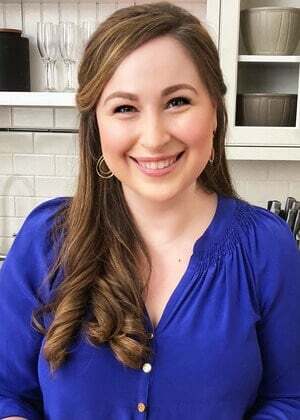 Before we trade in shorts and sandals for cozy sweaters and boots, I’m planning on a Labor Day weekend filled with a solidly summer menu. Of course, when Cal Giant sent me a sampling of their berries for an end-of-summer recipe, I knew a berry dessert would be at the top of my list! There are few summer desserts I love more during than a fresh fruit tart. There’s nothing like biting into a forkful of crisp French pastry crust, with indulgent pastry cream and sweet, juicy berries. 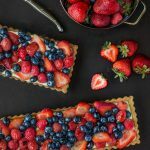 A mixed berry tart makes an incredibly impressive appearance on any dessert table, and all of the components can be made ahead of time. In fact, for the best texture, it’s preferable to assemble the tart just before you’re ready to serve. 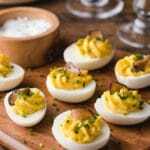 It’s a great option for easy and elegant entertaining. Crème Pâtissière is, essentially, custard that has been thickened with flour or cornstarch (and, in some recipes, both). It’s rich and indulgent, and is typically used in desserts such as fruit tarts and Napoleons (Mille-feuille). I love adding a hint of lemon with berries, so I made a lemon pastry cream for this mixed berry tart. I used my standard creme patisserie recipe and added a touch of fresh lemon juice and zest after cooking. The lemon flavor brings a nice brightness to the pastry cream without becoming too tart or overpowering. The pastry cream can be made entirely in advance. 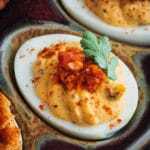 Simply store it in the refrigerator for up to two days before serving. Be sure to place a piece of plastic wrap directly onto the surface to prevent a skin from forming. Pâte sucrée (pronounced pat su-KRAY) is one of the three basic French shortcrust doughs (along with pâte brisée and pâte sablée). Unlike a flaky pie crust, pâte sucrée dough is more crumbly in texture. While it still has buttery layers, the crisp shell is more cookie-like and can better stand up to typical tart fillings, such as custards. Pâte sucrée is made with egg yolks and a bit of heavy cream, which makes it wonderfully rich. When you roll it out, it might very well crack. This is okay! When you fit it into your tart shell, just press pieces of excess dough into any cracked or torn areas, and no one will be the wiser when it’s baked. For this recipe, you’ll want to fully bake the crust before filling (“blind-baking”). Instructions for this can be found on my “Essentials” page, along with the recipe. The shell can be baked a day in advance of serving the mixed berry tart. Give me all the Strawberries! If, like me, you’re holding onto summer with fistfuls of berries, you won’t want to miss this collection of 101 Strawberry Recipes from California Giant’s Buzz Blog. There’s everything from drinks and salsas, to salads, main dishes, and desserts. If you’re going to be entertaining for the holiday weekend, it’s a great resource for maximizing your menu’s berry game! California Giant Berry Farm’s non-GMO berries are sold nationwide. I’ve found them at my local Whole Foods here in New Jersey, and most often at Costco, where the strawberries have been stocked regularly all summer. Don’t forget that you can use the code on your container of Cal Giant berries to trace them to the farm where the berries were grown. The associated Follow Us to Our Farm Sweepstakes is still running until September 31, 2017. 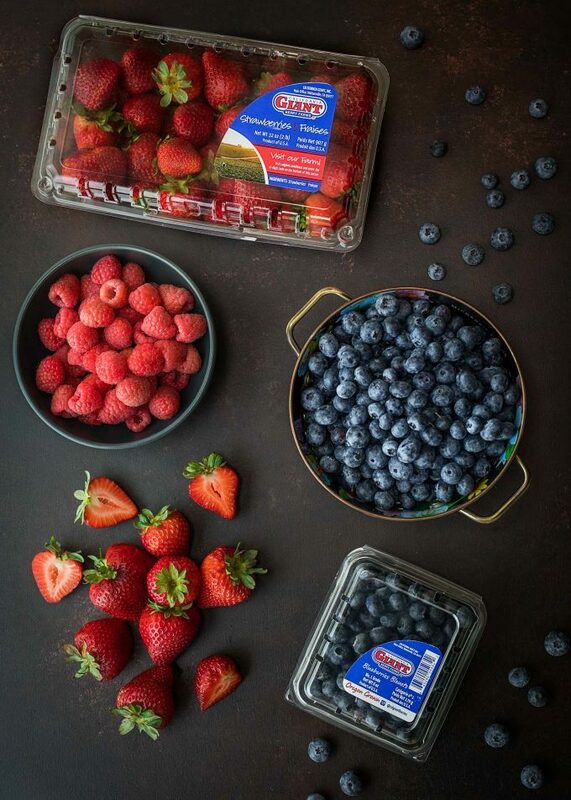 By tracing your berries, you can enter for a chance to win a $100 Visa gift card that’s been awarded monthly, or a $250 grand prize! Cal Giant always runs the most fun sweepstakes, don’t they? This mixed berry tart is an elegant and refreshing addition to any summer dessert table. Both the crust and the pastry cream can be made a day or two in advance of serving. (Store the pastry cream in the refrigerator.) To maintain a crisp crust, assemble the tart within an hour of serving. This recipe can be made in either ONE, 11-12 inch tart pan; TWO, 8-9 inch tart pans; or TWO, 4x14 inch tart pans (pictured). 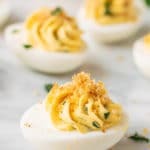 While half and half mixture is heating, whisk together egg yolks, remaining 1/3 cup sugar, and cornstarch in a bowl until a light yellow color. Remove from heat and whisk in vanilla extract, lemon juice, and butter until smooth. Pass mixture through a mesh strainer into a bowl and discard any small egg solids. Stir in lemon zest. Cover pastry cream with a piece of plastic wrap pressed directly onto the surface to prevent a skin from forming. Refrigerate until well chilled. 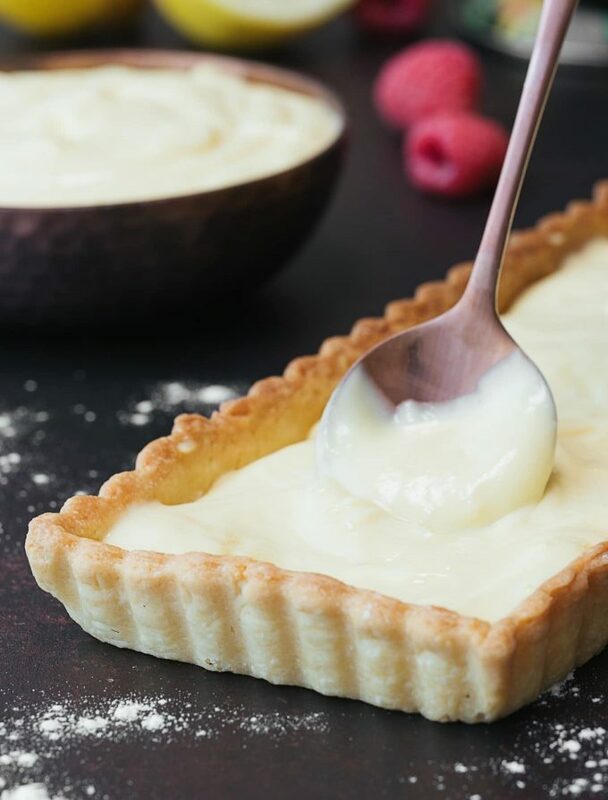 Spoon chilled pastry cream into tart shell and spread to an even layer. Top with strawberries, blueberries, and raspberries. In a small saucepan, heat jelly with water (if using), just until melted. Pass through a fine mesh sieve to remove any bits of fruit in the jelly. If using Limoncello instead of water, add it after straining. Lightly brush the berries with the glaze. Slice the tart into wedges and serve immediately. Oh my I LOVE the combination of lemon + berries. And I am a sucker for a good dessert tart. Also yes – How is Labor Day so soon?! August flew by. This is just gorgeous!! Loving all those berries, and that lemon cream sounds just divine!! I am with you on summer coming to a close too quickly, but I am also soooo ready for Fall after weeks upon weeks of 100+ weather, and no beach in sight! When I was in Paris, I used to gawk at all the fruit tarts every time I saw a patisserie with them in the window! Oh, and I ate them. Haha. 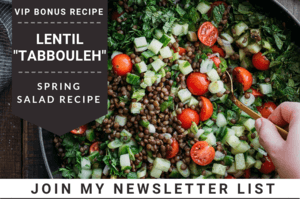 Somehow I’ve never tried making my own at home– that needs to change! I love this! 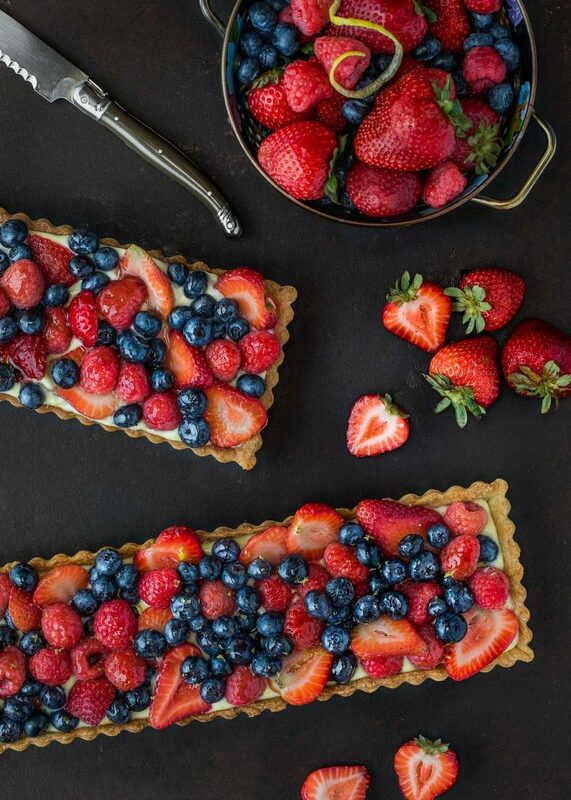 Nothing says summer to me like a great berry tart! Fresh sweet berries… and holy moly, those strawberries you have there (actually ALL of those berries) are simply spectacular! Luckily for me summer sticks around through the end of September here in California so I know that I have time to get some fresh fruit tarts on the menu still! This tart is GOR-GEOUS! I love the buttery pastry — and berries of course, but that lemon pastry cream is screaming my name. I confess to making double batches of pastry cream, just because I know I’ll succumb and taste at least 3-4 oversized spoonfuls (quality control). 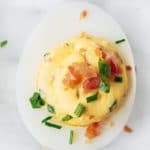 Your food styling and photography are (as always) stunning! Seriously, how is Labor Day that close?! Sign me up for any dessert with that many berries!